As a JCU professional health student, it is your responsibility to ensure all pre-placement requirements (PPRs) are met. Please seek the advice of your placement coordinator or the Professional Experience Placement Unit to confirm the pre-placement information and resources related to other States, services and facilities. As a JCU professional experience placement student, you are required to read the Professional Experience Placement Procedures for students within the Division of Tropical Health and Medicine. The document contains vital information for all students of the Division of Tropical Health and Medicine (DTHM) about the responsibilities of both students and the University in relation to professional experience placement. The document also contains important information about the principles underpinning the administration of student placement. You are also required to read the Procedure for Infectious Disease for students within the Division of Tropical Health and Medicine. This document guides students and the patients or clients they encounter regarding duty of care and minimising the risk of spreading or contracting vaccination-preventable infectious or blood-borne diseases. After reading these documents you must sign the Student Declaration, which confirms you have read and understood the contents of both procedures, and email the signed document to the Professional Experience Placement Unit. You must complete and sign the JCU Confidentiality Acknowledgement every year. In signing the Acknowledgement, you – the student – acknowledge that you have been instructed in the concept of patient, client and business confidentiality, and will respect clients’ confidentiality at all times, including during tutorials, lectures and discussions, both professional and private. Please download, complete, sign and email the Confidentiality Acknowledgement to the Professional Experience Placement Unit and retain a copy for your professional portfolio. Clinical ID cards are not the same as JCU Student ID cards. To obtain a Clinical ID you must have first obtained a JCU Student ID. During professional experience placement, you must wear your Clinical ID at all times. This includes placement at the JCU Dental, JCU Health General Practice and JCU Allied Health and Interprofessional Clinics within the JCU Clinical Practices Building. If your card is about to expire and you still require it, or if you lose your card, you will need to contact the Professional Placement Unit. Replacement cards will incur a small cost. Clinical ID cards are valid for the duration of your enrolment and must be returned to JCU at the completion of your course. Students are required to complete an Australian Nationally Accredited First Aid and CPR training course prior to commencing your first professional experience placement, or by week 12 of the first teaching period, whichever comes first. Please make an appointment that with a Registered Training Organisations that offer First Aid ‘Provide First Aid HLTAID003 (includes CPR)’ and/or CPR ‘Provide Cardiopulmonary Resuscitation HLTAID001’ training. First Aid and CPR certificates from Queensland Health facilities (non-accredited Training Provider) and online courses are not accepted. Students must attend the training course in person. First Aid and CPR Certificates provided by non-accredited Training Providers will not be accepted. First Aid certificates are valid for 3 years and CPR certificates are valid for 12 months only. A copy of your proof of course completion (i.e. the certificate) must be emailed to the Professional Experience Placement Unit. It is the student's responsibility to meet the costs of an Accredited First Aid and CPR course. The Working with Children Check is a screening process that assesses your suitability to work with children based on known disciplinary and police information. You must only use the JCU version of the blue card applications as provided below. Commence your application as soon as possible and submit it to the Professional Placement Unit for processing and submission. Note: that it can take up to 8 weeks to obtain a Blue Card. There is no fee for students and it is valid for three years. It must be renewed at least one month before its expiry date to retain currency. It is your responsibility to maintain a current Blue Card throughout your course. It is also your responsibility to ensure your contact details are up to date with Blue Card Services. For example, if you change your address or phone number, you must contact Blue Card Services and provide your new details. Complete a Blue Card Application relevant to your campus and visit the Professional Experience Placement Unit along with all your other documents to verify your identification and submit your application. *N.B. We do not encourage students to apply online for your Blue Card as documents need to be verified by the Professional Experience Placement Unit, therefore adding extra steps to the process. If you reside more than 50 km outside Cairns or Townsville, you should have your identification verified by a Justice of the Peace (JP) or other prescribed person using the Confirmation of Identity Form. Then email both your application and confirmation of identity forms (preferably as pdf files) to Professional Experience Placement Unit. Enter Blue Card Application as the subject heading of your email. If you already hold a Blue Card you should complete a Link an Applicant or Card Holder to this Organisation Form to advise that you are undertaking child-related activities with additional organisations, under the responsibility of JCU. Visit the Professional Experience Placement Unit in person to complete part G of the form and to submit the application, ensuring you bring two form of ID with you. 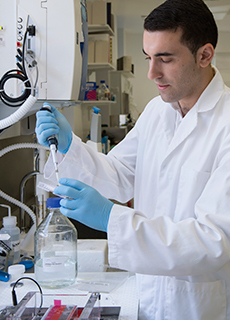 Students undertaking a placement as part of the Graduate Diploma of Medical Science or Bachelor of Clinical Science (4th Year) are required to obtain a National Police Certificate (NPC), which is issued by the Australian Federal Police (AFP). It is important to begin the application process as soon as possible because the certificate can take up to 3 months to process and finalise. Application costs must be borne by you, the student. A National Police Check obtained from a third party organisation is NOT an acceptable alternative to an NPC issued by the Australian Federal Police. A fingerprint check is not required. Section 8 of the NPC application form (Purpose of Check) asks you to select the one main purpose of your application by checking a box beside a code number. You should check code number 37 (Care, instruction or supervision of children/ Care of intellectually disabled persons / Aged Care staff/volunteers). The NPC states that the 'information contained in this document is valid as at date displayed', i.e. when issued. However, for the purposes of satisfying requirements of most placement facilities, including registered aged care facilities, the certificate is valid for 3 years from the date of issue. For further information, visit the Australian Federal Police National Police Checks website. When you receive your certificate, provide a copy to the Professional Experience Placement Unit. In accordance with Queensland Health and JCU procedures, students who are enrolled in health courses must be fully immunised, before commencing their professional experience placement, or by the end of the first teaching period, whichever comes first. You are required to provide evidence of completed immunisation course or proof that you are immune to Hepatitis B (Seroconverted). Documented evidence of positive antibody (IgG) for each on serology or documented evidence of 2 MMR vaccinations at least one month apart. Documented evidence of positive varicella antibody (IgG) on serology or two doses of varicella vaccine at least one month apart (evidence of one dose is sufficient if the person received their first dose before 14 years of age). Documented evidence of pertussis booster vaccination in the previous 10 years. In the first instance, we suggest you undergo a blood test to check your level of immunity to Hepatitis B, particularly if you are a recent school leaver. If you need to complete the immunisation process, discuss this with your doctor. You will need to start the immunisation process as soon as possible, as some courses take six months to complete. It is a JCU requirement that ALL professional placement students have a doctor complete the applicable sections of the JCU Health Record and Immunisation Form. The doctor cannot be a relative. Further advice relating to vaccinations and immunisation is available through JCU Health General Practice, Level 1, Clinical Practice Building, JCU Townsville, or your General Practitioner. Recommended Vaccination Schedule at JCU Health General Practice. For more vaccination information please visit the Queensland Health website. It is a requirement of your Course that you complete the Queensland Health Student TB Assessment and Screening Form prior to placement. The TB Assessment and Screening Form is a self – assessment form. TB screening is generally considered to be a once only requirement. However, if during your placements, you knowingly come into contact with someone with TB, you should have your baseline TB status checked again. Please read it carefully and respond to the questions. Then check your responses with the screening criteria on Page 3. If you identified any of the following countries/regions in Q1 and Q2: Africa, Asia, South America, Oceania & Pacific Islands ( Not Australia/New Zealand) then we recommend that you make an appointment with Queensland Health Tuberculosis Control Unit. Generally, Tuberculin Skin Testing in is required if the student is born in a country with a high incidence of TB or has resided for a cumulative time of 3 months or longer in a country with a High Incidence of TB 400. If you answer YES to Questions 3, 4, 7, 8 or 9 then we recommend that you make an appointment with Queensland Health Tuberculosis Control Unit. Disregard Question 8 if you do not know your allocated placement ward location. If you identify as an at risk student please ensure that you make this appointment as soon as you can and that you take the Queensland Health Student TB Assessment & Screening form with you. You must have a Mantoux Test at a TB Control Unit as many health services (e.g. NSW Health) will not accept a Mantoux Test from a private pathology service. You will need to provide the date of your Mantoux Test to the Professional Experience Placement Unit. A student with a positive test for TB is encouraged to follow up with their Discipline Placement Coordinator for a confidential discussion. Before a student can commence a clinical placement in a QLD Health facility, the following mandatory requirements must be completed and evidence submitted to the Professional Placement Unit. Document Requirements - please note that these forms can be filled out electronically but will need to be printed before signing. In preparation for your placement students are required to complete (where applicable), review and be familiar with the QLD Health Placement Orientation Requirements. Once you've read and understood the requirements you must complete the Student Orientation Checklist form. Tick every box to acknowledge that you have read and understood the possible placement requirements. You do not need to record your immunisation dates if this information is not readily available. The Student Deed Poll must be read and then signed in front of a witness. Please remember to add James Cook University and the University's ABN 46 253 211 955 at the top of page 1. Prior to commencing a placement, you are required to access the QLD Health iLearn online learning system and register as a student. Please note that when you commence the registration process you will be taken to a Frequently Asked Questions page, take a moment to read over the instructions for completing the student registration process. Q Health recommends you use the Firefox browser. Student Registrations are processed Monday to Friday and you will receive an email once your registration is complete. Once you are registered and receive the login details you are required to enrol and complete the below online modules. Clinical Placement Student Orientation Course - this course covers student placement requirements. On completion of each module, please print the applicable certificate and file this in your placement portfolio. You may be asked to show this evidence while on placement. You then need to fill in the JCU Training Requirements Declaration (this form can be completed and signed electronically). All three forms (Student Orientation Checklist, QLD Health Deed Poll and the JCU Training Requirements Declaration) should then be scanned and emailed to the Professional Placement Unit. Please ensure you include all pages of each document and label each document clearly. 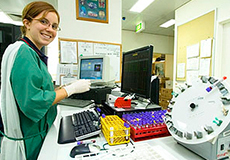 In addition, you also need to complete two Pathology QLD specific forms, the Pathology QLD Auslab Student Access & Pathology QLD Visitor Confidentiality Protocol four weeks prior to commencing a professional placement at a Queensland Pathology laboratory. Both forms should then be scanned and emailed to the Professional Experience Placement Unit. Student Registrations are processed Monday to Friday and you will receive an email once your registration is complete. Once you are registered and receive the login details you are required to enrol and complete the below online modules. On completion of each module, please print the applicable certificate and file this in your placement portfolio. You may be asked to show this evidence while on placement. Allied Health students are also required to complete additional Allied Health Learning Modules and then fill in the Allied Health Evidence Record (Part A - Section 1) as evidence of completion. All three forms (Student Orientation Checklist, QLD Health Deed Poll and the Allied Health Evidence Record) should then be scanned and emailed to the Professional Placement Unit. Please ensure you include all pages of each document and label each document clearly. The originals should be filed in your placement portfolio. The Townsville Health and Hospital Service (THHS) require all students doing a placement at any of the THHS facilities, including regional hospitals and community health centres to complete their own fire training module. You must use your JCU email address to create your account. Please email your certificate of completion to the Professional Experience Placement Unit and take a copy with you to your placement. Please note that as this is site-specific training, you’ll need to complete the training each time you go to a different facility, department or ward under the Townsville Hospital and Health Service. Students who are completing a placement with ACT Health will be required to complete some extra pre-placement requirements. Students are still required to submit their documents to JCU (DTHM Placements) as the education provider is responsible for confirming to the host facility that you are placement ready. Once this is confirmed by the facility you will be given access to the ACT Placement system (SPO) and will then be asked to complete further online learning modules. Before you commence placement apply for your WWVP card via the By Post process so that you can send them your passport photos. If you have time in the ACT before you commence placement you can apply online but will then need to visit an ACT Access Centre to have your photo taken to complete the process. Check the website to view current processing times. Please review this checklist to ensure that you have met the ACT Health requirements. Before placements in NSW Health Facilities can proceed James Cook University must have a current Student Placement Agreement with the Local Health District in which the placement is to occur. Without the Student Placement Agreement, the placement cannot proceed. Before a student can commence a clinical placement in a NSW Health facility, students must complete the following mandatory requirements. Read the policy directive NSW Health Code of Conduct. Print and complete the Code of Conduct Agreement for Students undertaking Clinical Placements form. Read the policy directive Occupational Assessment, Screening and Vaccination Against Specified Infectious Diseases, in particular, page 38 - Attachment 4 Checklist: Evidence required from Category A applicants. Gather your immunisation evidence as per the immunisation policy. The Professional Placement Unit should have a record of your immunisations but be aware that NSW requirements do vary slightly. Students undertaking clinical placements in hospitals or other health services in NSW are not required to obtain a Working with Children Check however, Students must ensure that their Queensland Working with Children check (Blue Card) remains current. Whilst you are preparing your mandatory requirements for verification, your JCU Placement Coordinator will enter your Name, DOB, email address and Student ID number on Clinconnect, the NSW Student Placement Portal. All student placements in NSW Health facilities are processed through Clinconnect. When the NSW Placement coordinator has reviewed your mandatory requirements, they will then update your status to “Verified” on Clinconnect. This will then allow the processing of your placement to be approved. Approximately 2 weeks prior to the commencement of your placement, the Student will receive an email to inform you of your StaffLink ID and temporary password. Students will be required to log in to My Health Learning with their eight-digit StaffLink ID username and password. Students will be compliant with mandatory training when all modules are listed as Completed except for Hand Hygiene which when completed will be termed, Current. It is advised that you start and complete a module in the one session. All modules need to be completed before the placement commences. eHealth NSW is strengthening security for NSW Health’s corporate systems by asking NSW Health students to set up a profile. This profile will provide greater security and will help students to more easily spot security threats. It will also enable students to reset their passwords without having to contact the State-Wide Service Desk. Guide for students - How to set up your NSW Health security profile. For any technical issues, users will need to contact the State Wide Service Desk on 1300 28 55 33. Please refer to Guide for students in Contacting the State-Wide Service Desk.